Exciting things are happening at Chandler’s School! 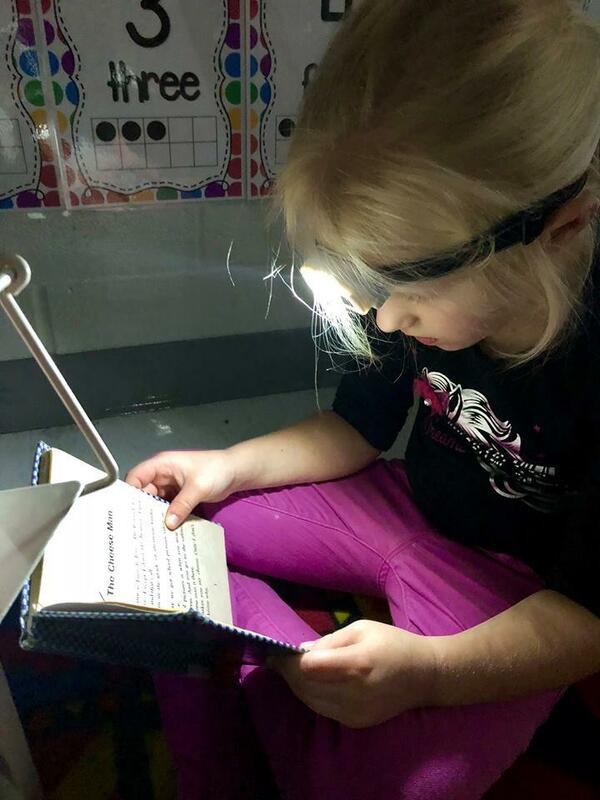 In Mrs. Melissa Thorpe’s first grade classroom, students celebrated the beginning of fall break with Flashlight Friday? 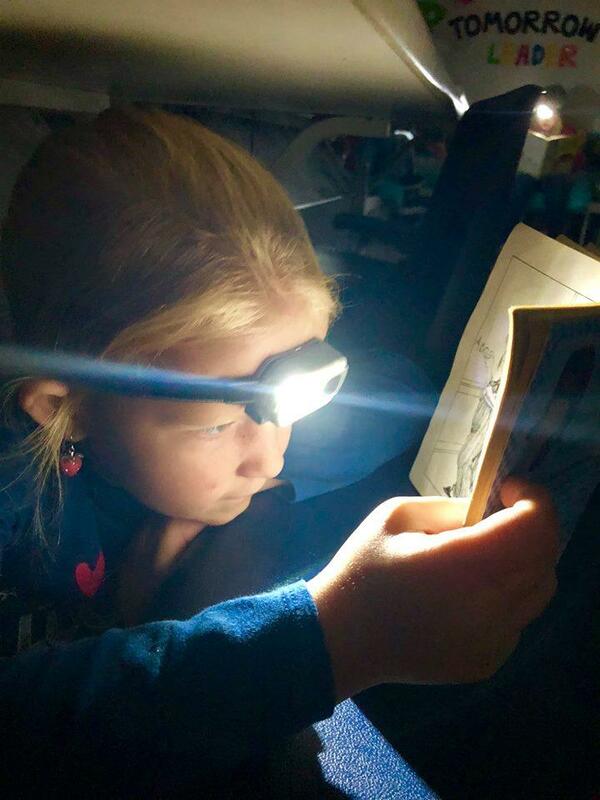 All students were given a headlamp so that they could read books when the lights were turned off. 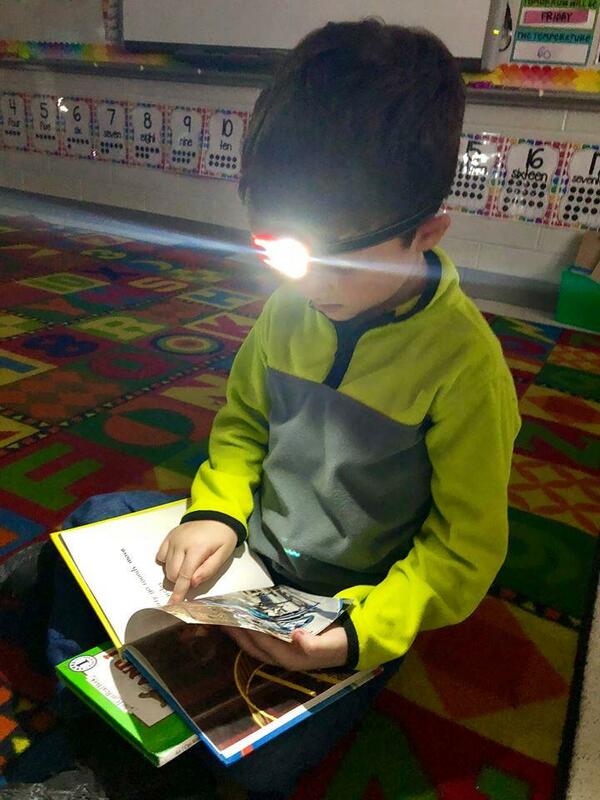 As students spread throughout the classroom, their love for reading was easy to see. The positive community in Mrs. Thorpe’s classroom has created such an encouraging environment for these young readers. Students were so excited about this special event. Thinking of creative ways that you can read with your child will keep reading interesting and motivating. Parents, please read with your child during fall break, to help maintain all that he/she has learned so far this school year. The students shown in the photos are Greyson Bennett, Ella Hubbs, and Leena Price.